Declan Mayes is charged with causing the death of Lionel Simenya by culpable and reckless driving. 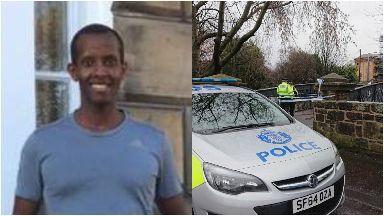 A man has appeared in court charged with causing the death of a chef in Edinburgh. Lionel Simenya, 36, died during an incident in Ford Road in the early hours of March 7. On Monday, 22-year-old Declan Mayes appeared at Edinburgh Sheriff Court charged with causing Mr Simenya's death by culpable and reckless driving. No plea was made and the case was continued for further inquiry. Mayes was remanded in custody by Sheriff John Cook following the private appearance.